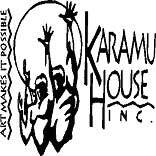 Karamu House is a not-for-profit organization that strives to bring cultural arts and education to the Cleveland area. We are in need of caring individuals who are interested in giving back to the community to volunteer in our cultural arts programs. We have several areas within our center that require willing persons to facilitate these initiatives. Though these individuals will not receive monetary compensation for their services, the benefits of gaining experience in the cultural arts arena and our volunteer incentives will prove their dedication to community service/outreach a worthy cause. Check out the Karamu House website to research the history and current initiatives of this historic cultural arts center.